With over twenty years of experience in garden landscaping, Kingdom Landscapes has the experience and expertise to create beautiful, well built garden spaces. 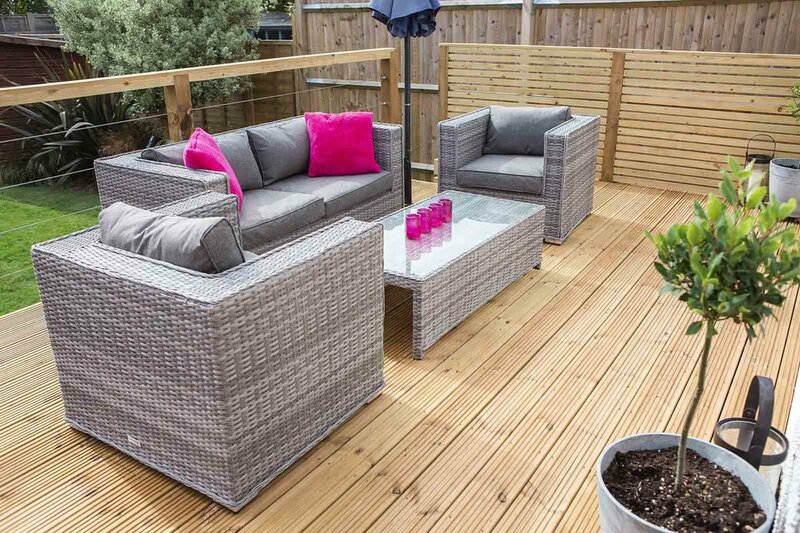 Outdoor living spaces are becoming ever more popular in Brighton and Hove, and there are several simple, cost effective ways of turning your garden into an extra space for entertaining friends and family, or for enjoying a book on a lazy afternoon. It’s amazing what a difference a new lawn can make to a tired garden, and a decking gives you a perfect spot for a barbecue or to enjoy an evening drink with friends. Trimming your hedges regularly will keep them looking tight and pristine, which all adds to the enjoyment factor of your garden. Why not click through to our dedicated pages on decking, tree surgery, and turfing to see how we can help you with your gardening needs? Most of our work comes from referrals, thanks to our great existing customers. We strive to surpass expectations in the quality of our work and have a Facebook page where customers can leave feedback and look at photos of our work. If you like what you see, why not become a fan of Kingdom Landscapes and contact us for a free landscaping quote?